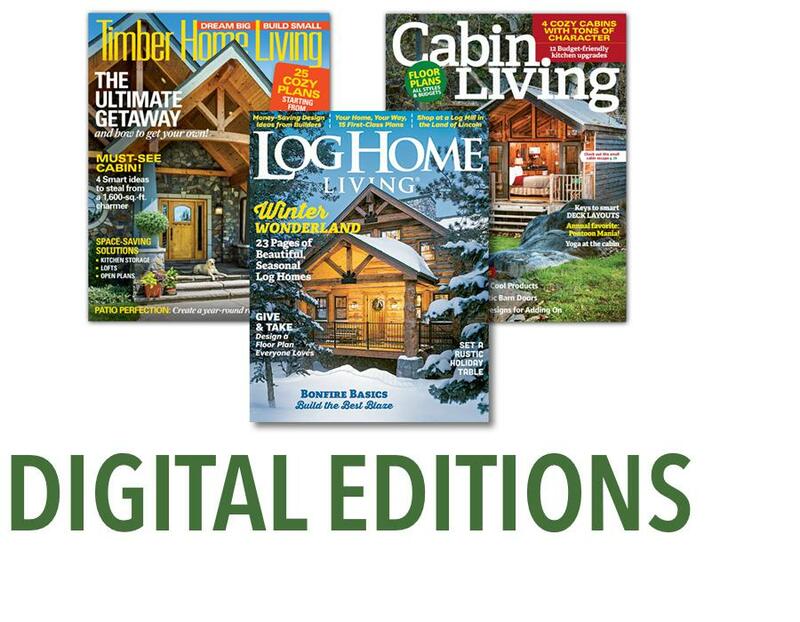 Download digital editions of Log Home Living on a variety of digital platforms, including iTunes, Kindle Fire, Nook, Google Play, Zinio, Press Reader, Magzter, and Readly. There are more ways than ever to enjoy Log Home Living. Download digital editions for a variety of digital readers. Just choose your platform below, and browse gorgeous house tours and floor plans, get tips for planning, building, and maintenance, and of course take full advantage of our comprehensive products & company listings . Start your digital subscription now!